Oscilloscope and multimeter fundamentals, and where each of these devices excels, are covered in part one of this five-part series adapted from The ABCs of Oscilloscopes webinar. Or, if you prefer, you can view the complete three-part webinar with audio and animations at the Fluke Training Center. 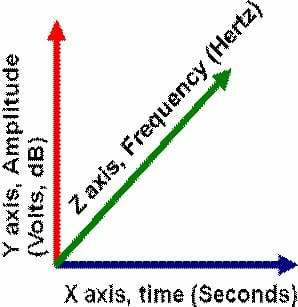 In the diagram, amplitude is plotted on the y axis, frequency on the z axis, and time on the x axis. 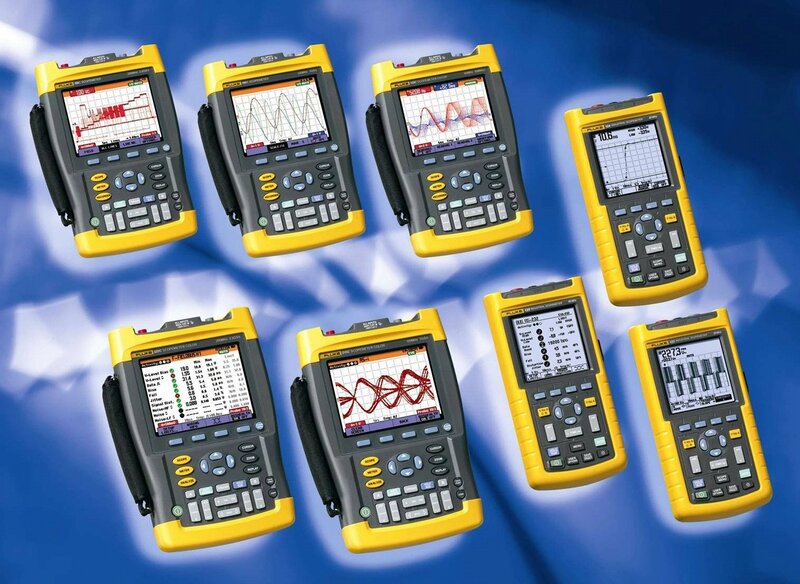 Different tools measure and display different aspects of a signal. A multimeter measures and displays a signal's amplitude precisely. A spectrum analyzer measures and displays a signal's amplitude relative to frequency. 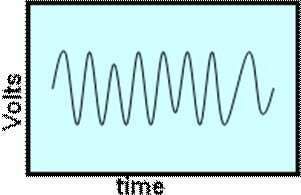 An oscilloscope measures a signal's amplitude relative to time. 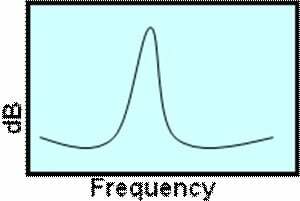 In the electrical world, there are many signals that are purposely varied in amplitude over time (usually to control a process). In other situations, a signal's amplitude that should remain constant does not, and you need to discover the reason. 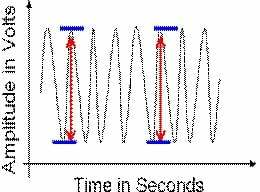 In both of these cases, an oscilloscope is the best tool choice because it can be used to analyze the integrity of signal's amplitude over time. A multimeter is a device that accurately displays discreet measurements in volts, ohms, and amps. To make measurements, a typical digital multimeter uses a dual-slope, integrating analog-to-digital converter (ADC). An ADC works by first applying an input to an integrating capacitor circuit, much like filling a storage tank with water. The signal is applied to the circuit for an exact amount of time, usually ranging from milliseconds to as much as a second. Next, the measurement circuit discharges the capacitor until it reaches zero volts while precisely measuring the discharge time. 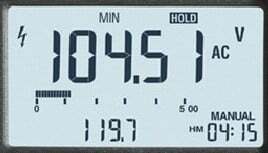 The time it takes to discharge the capacitor is directly proportional to the level of the input signal, so it can be used to measure the size of the signal. To use the water tank analogy again, a water tank is filled at an unknown rate for a precisely known time interval, then the tank is emptied. The time it takes to empty the tank is directly proportional to and can be used to measure how much water was in the tank. An oscilloscope is a device that samples a signal as it changes over time and then plots that signal on a display. The amplitude of the signal is plotted on the vertical axis of the display, and time is displayed on the horizontal axis. Modern digital oscilloscopes can display signal changes that occur over time as long as hours or as short as billionths of a second. Because oscilloscopes must be able to digitize signals that can vary by the nanosecond, the analog-to-digital converter in an oscilloscope must work very differently than those in multimeters. To make very fast measurements, many oscilloscopes use the technique of measuring input signals with multiple, parallel comparators. To make a measurement, the signal is applied to all of the comparators at once, and each comparator compares the signal level to a unique reference voltage. 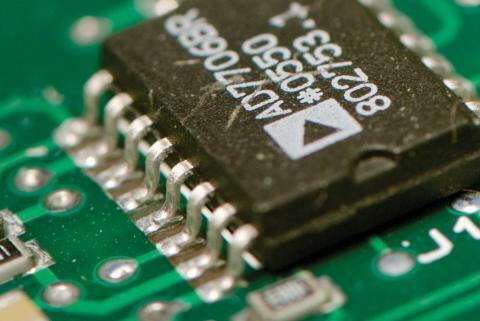 If the signal equals or exceeds the comparator's reference voltage, the comparator changes its digital bit from a 0 to a 1, telling the microprocessor the signal voltage at that instant. The advantage of this measurement technique is conversion speed; the disadvantage is reduced accuracy: an oscilloscope's voltage measurement may only be accurate to plus or minus 1.5%, while the accuracy of even a basic 3.5-digit multimeter can be accurate to approximately plus or minus 0.15%. A multimeter displays a precise measurement of an input. An oscilloscope displays a graphical representation of many measurements of an input as the input varies over time. 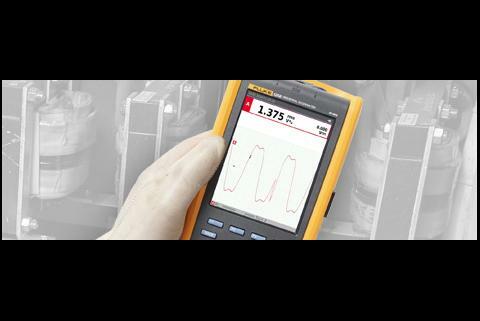 A typical multimeter may measure an input five to ten times a second and displays measurements with high precision. A typical oscilloscope may measure input billions of times a second so it can accurately represent how the input changes, even over extremely short periods of time. 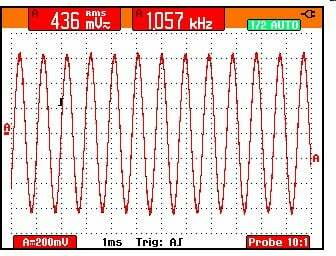 Later installments in this series will give more information about how to analyze waveforms with an oscilloscope.